Well lets face it over the past year or 2 centrix really has been dying but some ways to bring it back to its position a couple of years ago. We can self promote the server share it on our social media. we can also get some better plugins to make the server better and more advanced. hire more devs to bring the server back upand stuff like that. 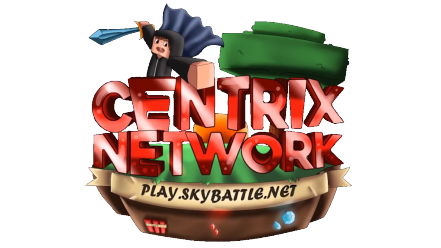 I know centrix would be tight on money but a good way to spend that money would be to pay the advertsing companys and to get our server back to its standard back in the day. Dieter and the rest of the staff team need to think about the advertising more than anything becuase that is the way people find the server they dont find it out from other servers they find it from server lists! i really do think advertising is the biggest thing. Member of the Centrix Network for over 3 years! I am actually responding as a normal player since staff members do not put enough interest in this server. This was already suggested to the staff members, but I guess Centrix is doing it's own thing just like from the start, not listening to other's people opinion. I gave this suggestion a while back ago ( One to two months ago ) to Michael, we spoke about it, and he assured me it will happen in the future. Problem is, this never happened! I think that everyone lost interest in the server due to amount of bugs and everything taking so long to come out as a final product ( launches, new maps, fixes, etc. ). Anyways, that's just my personal opinion, and probably other people's opinion. We are actually doing that thing. We don't need that much devs since a lot of the plugins are available and we also have a few devs..
http://instagr.am/p/BrZokn5nryK/ The server player count also started going up recently. Donations has been low and advertising thru company isn't possible at the moment maybe later on we will start doing it again.